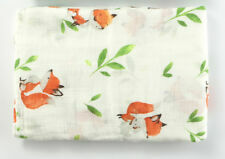 Muslin Swaddle Blankets Fox Infant Receiving Blanket Soft Bamboo 47x47"
Size:120 120cm(47x47"). it is mum's best love for kids. 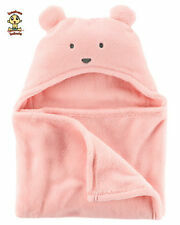 the blanket can be used as stroller sleep blanket,swaddle. Material: 30%cotton ,70% bamboo. the material is soft and good for baby's skin. 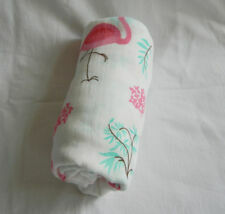 Muslin Swaddle Blankets Flamingo Print Infant Receiving Blanket Bamboo 47x47"
Muslin Swaddle Blankets Owl Baby Receiving Blanket Soft Bamboo swadle 47x47"
Size:120 120cm(47x47"). it is mum's best love for kids. the blanket can be used as stroller sleep blanket,swaddle. Material: 30%cotton ,70% bamboo. the material is soft and good for baby's skin. the material is brleathable and lightweight and soft. Muslin Swaddle Blankets Fawn Baby Receiving Blanket Soft Bamboo swadle 47x47"
Muslin Swaddle Blankets Rain Season Baby Receiving Blanket Soft Bamboo 47x47"
Perfect gift for the new Harley baby! Front is black with a large Bar & Shield in orange in the center. Back is orange with a repeating allover screen-print of the Bar & Shield outline in Black. Trim in orange. Unique Thomas The Train Toddler Blanket 34"x42"
Use only non-chlorine bleach when needed. Tumble dry on low heat. Do not Iron. Do not dry clean. Sorry for the inconvenience, but this is the LAW. Gerber Girl's Receiving Blanket! You are purchasing 1 New Gerber Receiving Blanket. Great for baby showers. Also good for our build your own diaper cakes! We are a Christian family of 4. We search for quality products at a reasonable price. These blankies feature pinstripe velour fabric with blue satin edging and backing. This blankie is embroidered with one scriptures that reads "Bless This Child.". Machine wash and dry.